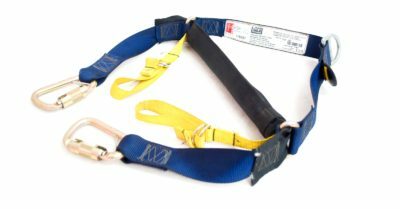 The DBI-SALA spreader bar is designed for use with harnesses incorporating confined space loops or D-rings and is ideal for confined space entry/exit and rescue and retrieval applications providing both comfort and security when lowering and lifting workers. The Spreader Bar forms part of a confined space rescue and retrieval system typically used with a Winch and Davit Arm or Tripod assembly to raise and lower a worker into and out of a confi ned space. When used together during emergency retrieval operations, they keep the victim in an upright position and reduce the space needed to extract them.